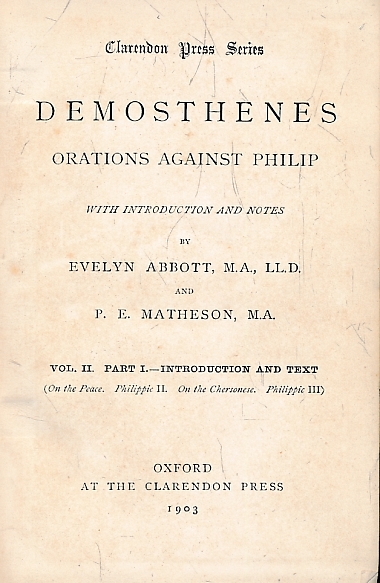 Barter Books : Abbot, Evelyn and Matheson, P E : Demosthenes. Orations against Philip. Volume II Introduction and Text. 170 x 120 mm (7 x 5 inches) - 116pp, 86pp + ads.